In order to recover from my winter blues, albeit a snowless and mild one on the East Coast, I decided to spend a week on the West Coast and to get reacquainted with a new online friend that I had met in the DC area last November. The last time I spent some time in the Los Angeles area was nearly 20 years ago with my sister’s high school mate. Since my new friend lives in Pasadena, which he speaks highly of his beloved city, I thought it would be an opportunity to learn about the city that hosts the annual Rose Bowl Parade with hundreds of flower-decked floats parading down its tree-lined streets. 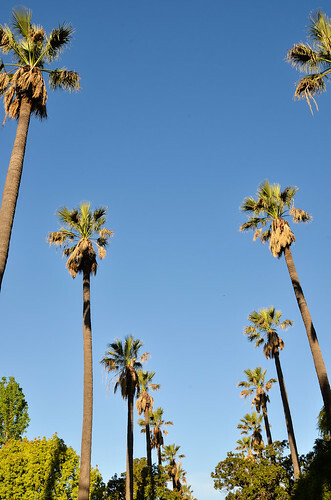 Pasadena is indeed as beautiful as my friend touted it to be with the charming houses, parks, and the abundance of greenery amidst an arid climate, which left me parched most of the time. Knowing that I was quite the gourmand and a food blogger, my host was the perfect gentleman by making himself available to take me around and locate the restaurants that I was interested in trying out, as well as some of his and his friends’ recommendations. 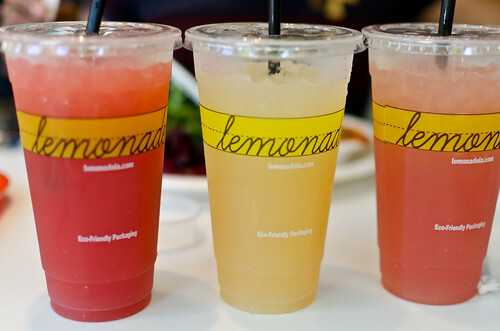 After picking me up from an amazingly serene LAX airport (catching the first flight on a Sunday must be the secret here), we headed out to Lemonade, a new chain whose food can be best described as California Fusion. As you walk into the serving line, you notice that the first items offered are the side dishes, followed by salads, meat and seafood, sandwiches, stews and hot dishes, and lastly the dessert choices. Since the sides came in large portions, customers are encouraged to order them in half portions. My selections were a varied quartet consisting of a seared tuna salad with snap peas, watermelon radish, black sesame seeds, ginger, and a hint of nutty sesame oil; a daily special of fresh asparagus, crisp red radishes, and sweet lychee (yumm! )in a biting horseradish sauce; cubes of roasted sweet potatoes mixed with roasted pistachios; and Israeli couscous with mushrooms, parmesan, and lemon truffle – all the sides were amazingly fresh (no surprise since we are in bountiful California) and packed with flavor, except for the last side which seriously lacked any seasoning beyond the taste of olive oil. For protein, strips of seared sashimi-grade tuna with a sweet and citrusy yuzu sauce hit the spot. 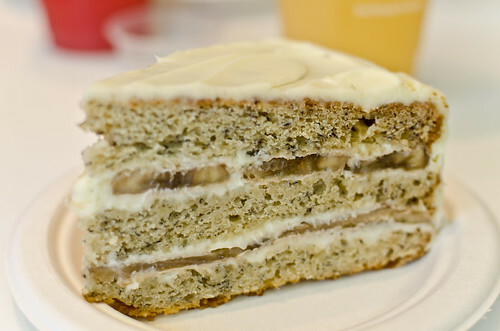 Since my friend is a sweet-tooth fiend, an order of the banana cake was quite heavenly with the very light sponge batter seeping in banana flavor and the layers interspersed with banana slices and mascarpone cream. The meal was washed down by the different lemonades which this eatery is known for – mine was Ginger Peach which was a good spicy choice. This is fast, fresh, but not-so-cheap eat since all the portions do rack up quite a bill before your tray arrives at the cashier (notice how the sides are strategically placed at the front of the line). However, it is worth an occasional visit for their fresh and rather creative offerings. 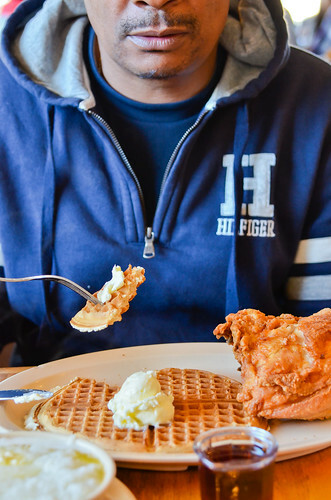 The next morning, my friend suggested eating at an LA institution, Roscoe’s Chicken and Waffles House. I had tried their food before in another branch in Oakland, CA a few years back, and this day’s offering did not disappoint me a single bit. My friend had an order of crispy waffle and a piece of fried chicken that had its seasoning permeating every inch of each bite. A side order of grits (well-cooked here, unlike most places) and gravy that was fairly light (yeah, sure! ), yet tasty, rounded off this rib-sticking “itis”-producing breakfast. My order of Southern-style sausage and over-easy eggs were a lighter (only by a few calories) yet satisfying choice for me. It seems that this place is a “must-visit” kind of eatery judging by the photos of the famous and not-so-famous celebrities on the surrounding walls. For lunch, we checked out a couple of places. 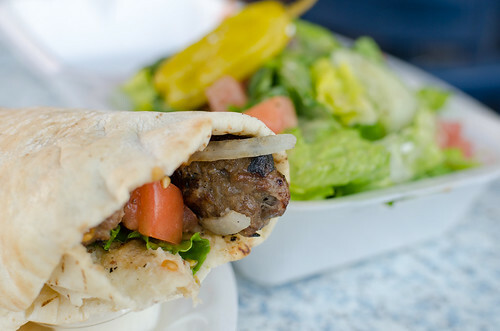 The first was Mediterranean Café which serves typical Lebanese fare. According to my friend, there is always a line wrapped around the block when he pays his frequent lunch visits. 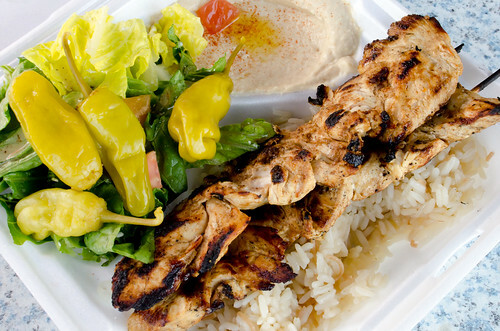 And understandably so – the Chicken Shwarma and Beef Kabob were well seasoned with the smoky charring from charcoal grilling, Greek Salad ingredients fresh and ripe, the Hummus creamy and correctly seasoned to claim its new identity beyond chickpeas, the Rice Pilaf buttery and fluffy, and the Pita Bread freshly made and still pliable. A conversation with the owner would only confirm the level of quality control and passion that he and his son bring to this simple yet wonderful eatery. A hunt for a roving Taco food truck in a predominantly Hispanic neighborhood (see what I would do for good eats!) proved to be futile since most do not open for lunch as they tend to cater to single men looking for grub after working hours. 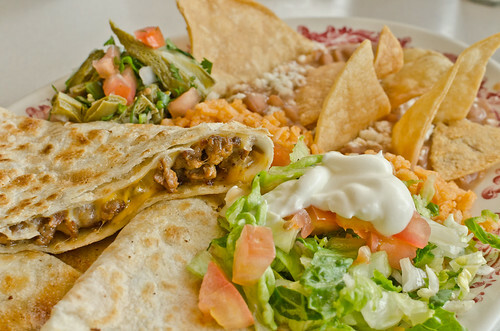 With the help of the Yelp application on my smart phone, I came across Mi Casa Mexican Restaurant that had received many glowing reviews. After locating this eatery, we sat down at this rather quaint and very clean restaurant. 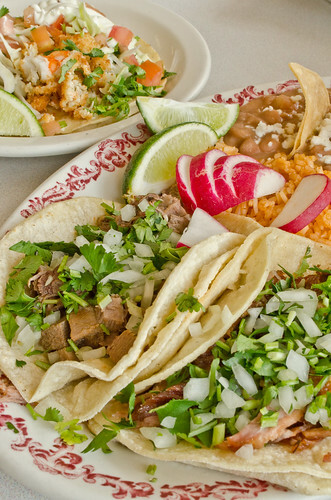 We decided to try an assortment of Tacos – Barbeque Pork (Carnitas), Beef Tongue (Lengua), and Breaded Shrimp (Camarones) all enveloped by soft tortillas. All the meats and shrimp were well-prepared and not overly seasoned, and the side sauces of green tomatillo and red roasted peppers took these bites to a fiery level. An order of Beef Quesadilla (Carne Asada) was very delicious with the thin freshly made tortillas sandwiching a hint of cheese and brimming with small chunks of seasoned beef. The sides of Mexican Rice and Refried Beans were fresh tasting and surprisingly light. An order of the exotic Pickled Cactus Salad (Nopales) had the right hint of vinegar without being too acidic, which my not-so-adventurous friend was stabbing at with curiosity after some time. A washing down with the cinnamon-laced rice milk (Horchata) was perfect since it was not too sweet or too thick. I knew I would eventually find some good Mexican eats around the LA area, and I’m glad I paid a visit to Mi Casa, with the help of modern technology, of course. For dinner, we decided to visit one my friend’s favorite haunts. 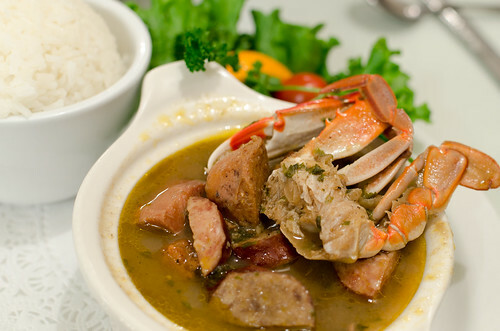 Harold and Belle’s has been serving Creole cuisine since 1969 in the heart of Black LA in the Crenshaw/Inglewood area. Stepping in, you are immediately transported to the Southern bayou state with the French influenced décor that speaks of a forgotten era. We started with the Filé Gumbo that was rich, although a bit thin, but filled with dark flavors from the brown roux, sassafras root, and the smoked meats. 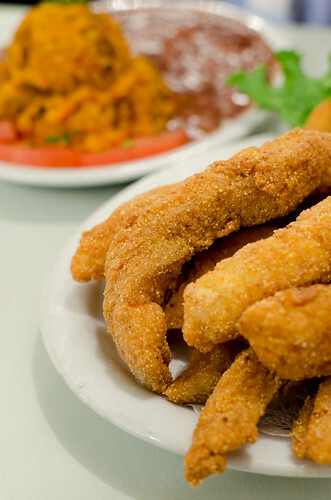 Our mains started with Fried Catfish Strips that were amazingly light with a clean flavor and incredibly thin yet crispy cornmeal batter. The sides consisted of Jambalaya, which was decent, and the Red Beans, which were smoky and flavorful from the use of smoked sausages. 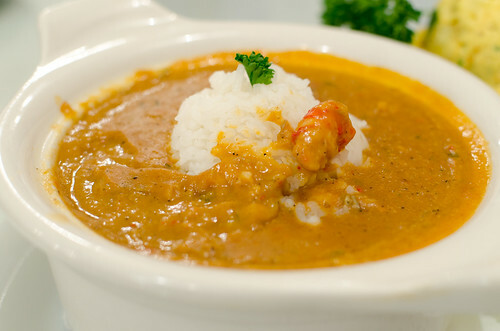 The other main, a cocotte of Crawfish Etouffée, was just heavenly with its rich tomato based cream sauce and a plethora of moist and bouncy bits of peeled crawfish tails, whose richness was complemented by fluffy white rice. 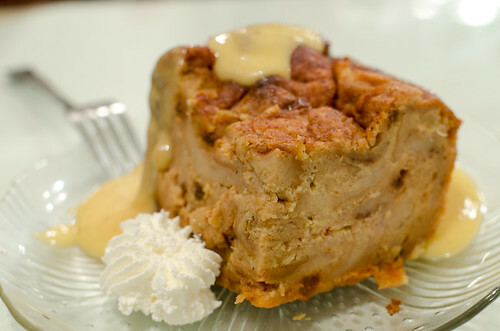 Even though we were quite stuffed at this point, my friend insisted that I tried the Bread Pudding. This dessert was indeed an eye-rolling-back and toe-curling experience with the moist pudding studded with sweet plump raisins that was drenched in a mean salty rum sauce that was boozy enough to call it a shot. This is not cheap eats here but definitely worth visiting and lapping up the amazingly delicious food. Just don’t ask the Bloods and Crypts gang members next to your table (I guess good food knows no boundaries) to take your picture – I should have noticed the tattooed teardrop under their eyes before my observant host stopped me. 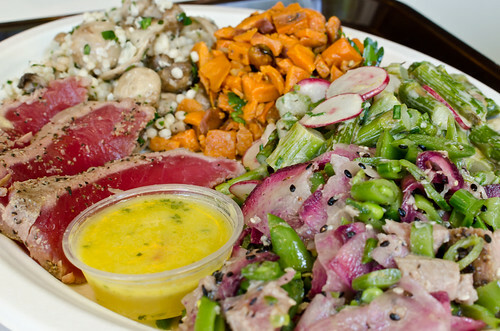 The LA/Pasadena area has an amazing variety of good eats and different cuisines due to its multi-cultural population. It is worth exploring these different places while one has to be a bit adventurous and have a good guide or host, or smart phone application, to find these places. I’m sure there are many more eateries worth checking out, and I can’t wait to pay the West Coast another visit in the near future. Primero que nada gracias por compartir tu maravillosa esperiencia culinaria en Los Angeles area conmigo. Segundo, no me sorprende leer todo lo que tu experiencia en esta parte del planeta te dejo, ya que despues de probar la deiliciosa cena que amablemente preparaste para los amigos de tu amigo, entiendo todo tu conocimiento acerca del maravilloso arte del comer. Muchas gracias. y recibe un abrazo. Adolfo, muchas gracias por tus plalabras tan simpáticas sobre mi blog. Espero volver por allá pronto para ver a Uds. y para comer más tesoros culinarios que su ciudad ofrece. Nos vemos pronto.